And the BATTLE goes to the BRITS! USA road tripped it to SD in August to bring you the action from the longest running scooter competition in the industry, the "SD" series now in its TWELFTH year! 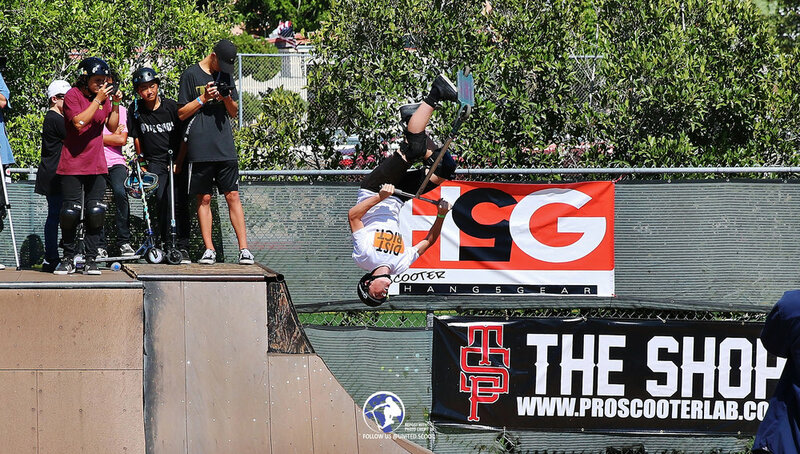 Brought to you by one of the OGs in the industry, Mr. Andrew Broussard & MC'd by the host with the most (beard) Nekbeard himself at the world famous Clairemont Skatepark in SD. 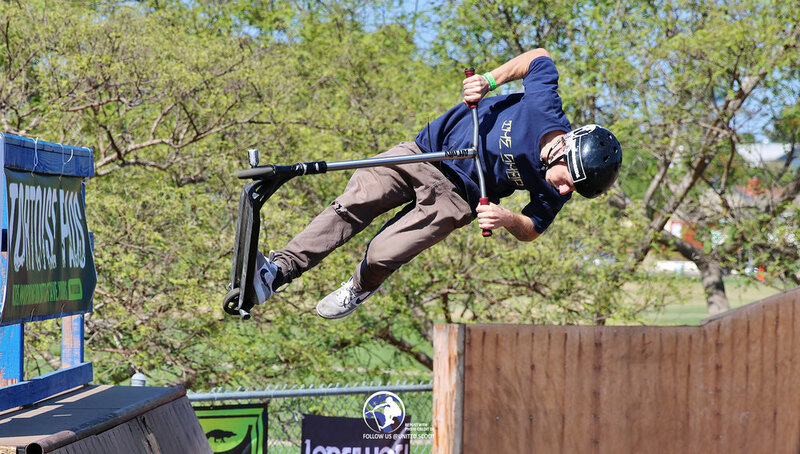 PRO riders had to compete on two courses, leaving no room for error in their game. One fall left you with no chance for the top spots. 1st runs on the regular park course, 2nd runs on the infamous Skatercross! 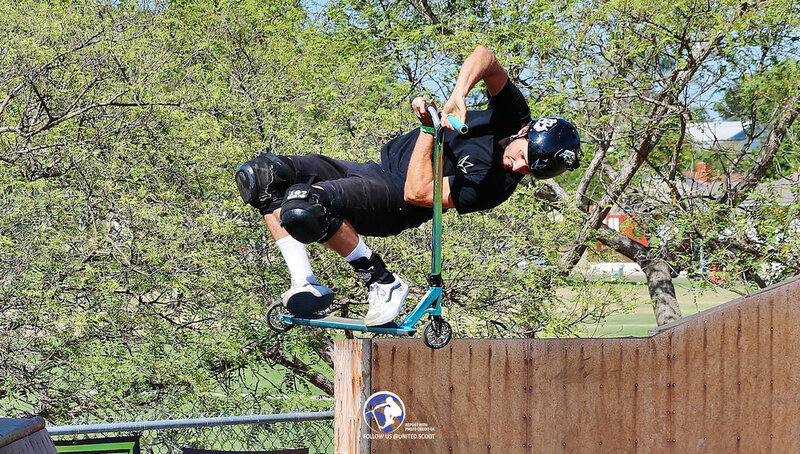 Perfect for the big ramp riders and separating the one trick ponies from the herd. Only the most well rounded and consistent riders hit the top 20 as both park & skatercross scores were averaged for the final podium placement. A true test of skills and a lesson in not ever giving up, as even after a fall riders could keep it going to get in as many points as they could to up their average and final score. Shout out to the team at STACT for the great "real time" scoring system! USA will be using this going forward for all comps! Total transparency & fair! Congratulations to District's JAMIE HULL on the very deserved W! With a close 2nd from Lucky's Cody Flom and 3rd from another District rider, Mr. Chris Farris (last year's champ). Another Brit riding for AO, Dante Hutchinson, with 4th, and rounding out the podium, Tristan Anderman of Hang 5. Top 25 photos here! But don't forget to check out the full photo album on our FACEBOOK PAGE, and see the full results on the Scootercon website! - Great riding everyone! 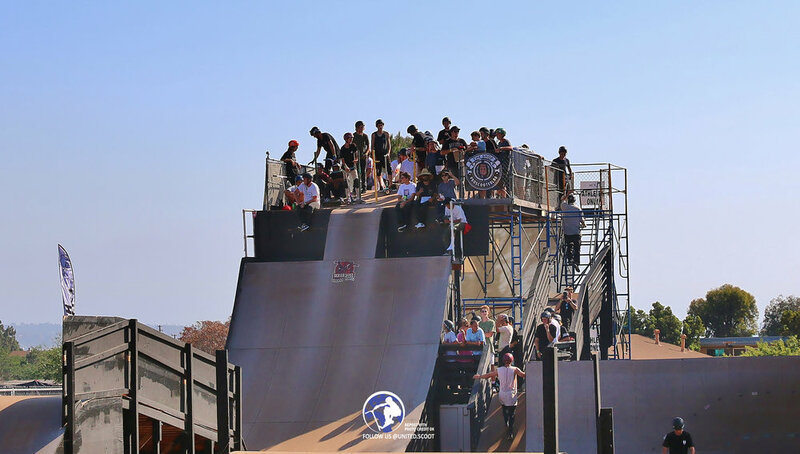 Great park, Great organizers, Great riders, Great sport! Please share any photos you like with photo credit to USA! Cheers.